EXL125 Hybrid gauge combines EXL120 for flexibility and EXL110 for more solid low end. Round wound with nickelplated steel for distinctive bright tone. 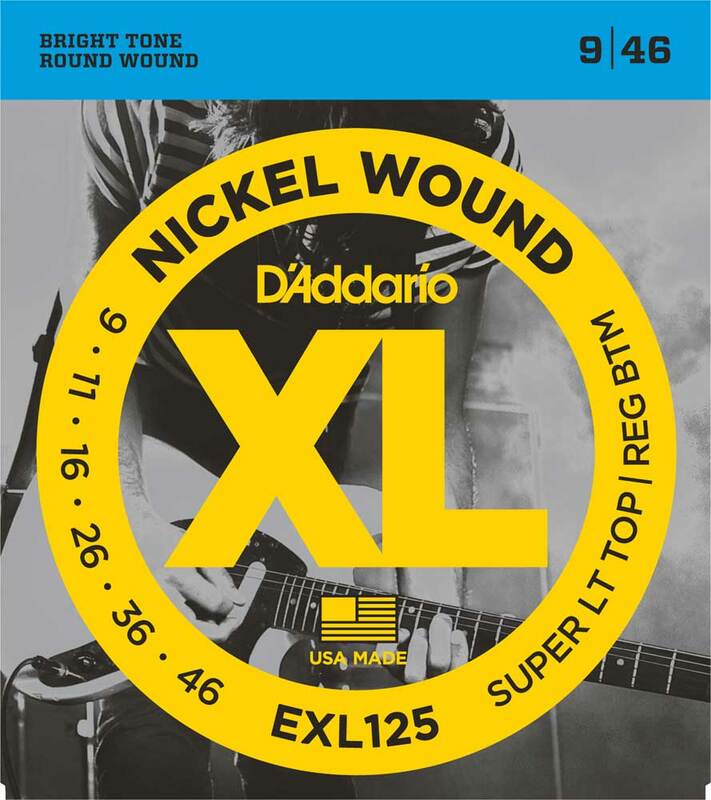 D'Addario XL Nickel Wound Electric Guitar strings are world-renowned as "The Player's Choice" amongst players of all genres and styles. XL's are precision wound with nickelplated steel on a hex-shaped core, resulting in strings with a distinctive bright tone and excellent intonation.